Goaltender Thomas Greiss recorded his fifth shutout of the year, and Ryan Pulock and Anders Lee scored in the New York Islanders' 2-0 win over the Columbus Blue Jackets on Monday in Uniondale, N.Y.
Greiss has stopped 90 of 92 shots against the Blue Jackets this season, and the shutout was the team's ninth, the second most in franchise history. Pulock scored a first-period goal and Lee added a late empty-netter for the Islanders, who have won three of their past four. 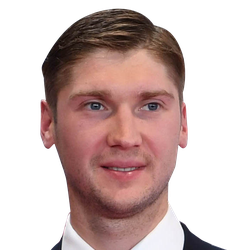 Goalie Sergei Bobrovsky made 18 saves for Columbus, which has lost five of its past eight and was shut out for the sixth time. In the first period, Cal Clutterbuck sent in a long wrist shot, and the puck rebounded out to Pulock above the right circle. The defenseman teed up a blast and pounded home his eighth goal as he beat Bobrovsky on the blocker side at 6:11. The marker was Pulock's first in eight games, and the point was his 33rd, setting a career high. Clutterbuck, who recorded the primary assist on the goal, had missed the previous three games. He was hit in the head by a puck while sitting on the bench in the Philadelphia game on March 3. New York hemmed the Blue Jackets inside their own zone in the middle of the first period. However, the standout play of Bobrovsky, including a sliding post-to-post save on Andrew Ladd at 9:24 and a two-on-one shot by Lee at 14:08, kept the score at 1-0. 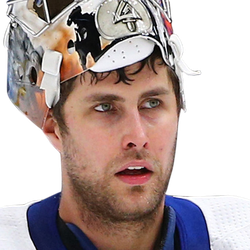 Greiss was equally up to the task as Columbus spent the last few minutes of the second period in the Islanders' end, but the German netminder made saves on all 12 shots by the Blue Jackets over the 20 minutes as New York held the one-goal lead after two. Columbus brought pressure and outshot the Islanders 11-4 in the third period, but Greiss shut down the Blue Jackets and Lee scored an empty-net goal -- his 24th tally -- with 90 seconds left to give the Islanders their 40th win.